Nationwide Cleaning is the global leader in the commercial cleaning industry and stops at nothing to deliver unrivaled cleaning services to the people who matter most in your business. 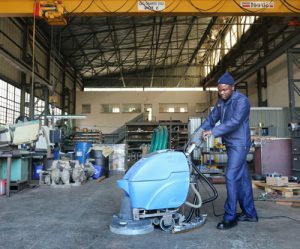 Cleanliness in a factory might be something that is taken for granted or not a priority worth major focus. But studies show that potential clients consider cleanliness when choosing vendors, not just production capabilities. The cleanliness of a factory is an extension of the overall brand image and should never be ignored. 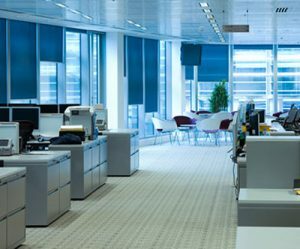 Nationwide Cleaning provides consistent industrial cleaning and janitorial services to large and small facilities with critical needs. From power plants where security is a top priority to industrial and manufacturing sites where safety rules, Nationwide Cleaning has the cleaning experience, support and track record that you demand and deserve. To ensure safety and security, Nationwide Cleaning employees are subjected to background checks based on client requirements and provided additional safety training as needed. To maintain profitability, your product needs to be distributed quickly and accurately. At Nationwide Cleaning, we maintain your facility so that you can maintain your schedules. Our commercial cleaning program is customized to fit your needs when you need it.